Lead guitar is a critical track in any rock instrumental music; particularly if you follow the likes of Joe Satriani, Steve Vai, Eric Johnson, Paul Gilbert, Yngwie Malmsteen, etc. 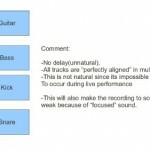 It is a common trend for home studio musicians who are recording their own lead guitar performance. And there has been an increasing trend of rock instrumental music because of their demands in TV and film music licensing. a.) Mixing a electric lead guitar using distortion tone – this is very common in the early 70’s to 90’s rock. Most rock instrumental music are using this type of tone. b.) Mixing a solo guitar using a clean tone – in some highly specialized solos such as in the jazz rock instrumental, the guitarist wil be using a clean tone. c.) Mixing a guitar when the solo is done using a nylon acoustic guitar – classical rock instrumental musicians such as Yngwie Malmsteen commonly uses a nylon acoustic guitar to accomplish some of its finest guitar solos. d.) A lead guitar mixing using steel strings – some rock music instrumental solos are using these types of strings. 1.) Think of a guitar solo as a substitute of a vocalist or lead singer. In a band, a lead singer is on the center of the stage. It’s why the vocals will be panned in the center of the stereo field. The same concept can be applied to rock guitar in the instrumental genre.. There is no lead singer but only the guitarist as the lead performer on stage. In this case the guitar solo is simply panned in the center of the mix. (0 setting or 0% in your recording software). 2.) 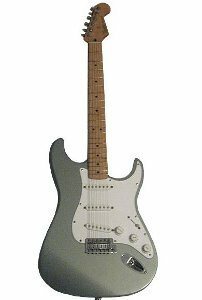 Elusive guitar distortion tone is often accomplished using the guitarist highly favorite guitar amplifiers. In this case the recording will be using microphones instead of direct inputs. Try to check for the ambiance and reverb of the recording. If the recording is very “spacey”, then there is no need to apply for a reverb as one of the mixing effects. 3.) A good reverb settings for a guitar is around 500ms to 2000ms. This will depend on the speed of the guitar solo. For a very fast guitar solo, a reverb setting of 500ms is nice to hear but still, it depends on the music. 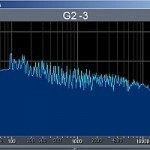 NO EQ Settings needed in the mixing– if the guitar solo does not have accompanying bass guitar and drums. In a guitar solo, there is no need to apply substantial EQ adjustment in the mixing session just to bring out the best tone on the guitar. 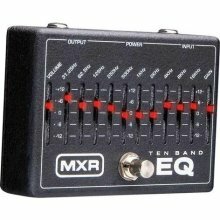 Most guitarist will be using EQ as one of their pedal effects for this. Or even adjust the treble and bass settings on the amps or other pedals. 5.) 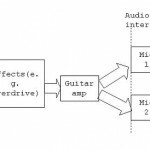 In most cases, guitar solo does not need much compression to bring out the most of the guitar sound dynamics which are very important to any guitar solo. 800Hz Q= 1.4 -6dB cut. Take note that this may also applicable to clean tone electric guitars. Final tip: Experimentation is the key. The above suggestions are based on my personal experience in mixing. Start with the above settings and gradually improve further to fit your projects.